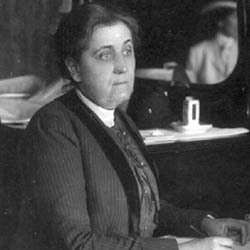 By Jane Addams, of Hull House, Chicago. The two points at which government is developing most rapidly at the present moment are naturally the two in which it geniunely exercises its function -- in relation to the vicious, and in relation to the poor and dependent. 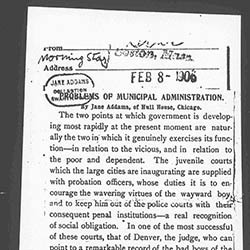 The juvenile courts which the large cities are inaugurating are supplied with probation officers, whose duties it is to encourage the wavering virtues of the wayward boy, and to keep him out of the police courts with their consequent penal institutions -- a real recognition of social obligation. 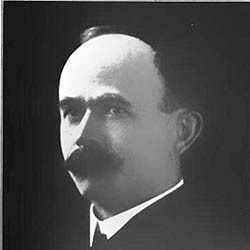 In one of the most successful of these courts, that of Denver, the judge, who can point to a remarkable record of the bad boys of the city, plays the veritable game with them against the police force, he and the boys undertaking to be "good" without the help of repression, and in spite of the machinations of the police. For instance, if the boys who have been sentenced to the State reform school at Golden deliver themselves without the aid of the sheriff, whose duty it is to take them there, they not only vindicate their manliness and readiness to take their medicine, out of his five-dollar fee, over which fact they openly triumph. A simple example, perhaps, but significant of the attitude of the well-intentioned toward repression government. As the juvenile courts are beginning to take an interest in the social life of a child, in order to prevent arrest, on the same principle the reform schools are inaugurating the most advanced education in agriculture and manual arts. A bewildered foreign parent comes from time to time to Hull House, asking that his boy be sent to a school to learn farming, basing his request upon the fact that his neighbor's boy has been sent to "a nice green country place." It is carefully explained that the neighbors' boy was bad, and was arrested and sent away on account of his badness, and it is quite possible sometimes to make clear to the man that the city assumes that he is looking out for himself and taking care of his own boy; but it ought to be further possible to make him see that, if he feels that his son needs the education of a farm school, it lies with him to agitate the subject and to vote for the candidate who will secure such schools. He might well look amazed, were this advice tendered him, for these questions have never been presented to him to vote upon. Because he does not easily discuss the tariff, or other remote subjects, which the political parties present to him from time to time, we assume that he is not to be trusted to vote on the education of his child; and in Chicago, at least, the school board is not elective. The ancestors of this same immigrant, from the days of bows and [page 2] arrows, doubtless taught their children those activities which seemed valuable to them. Again, we build enormous city hospitals and almshouses for the defective and dependent, but for that great mass of people just beyond the line from which they are constantly recruited we do practically nothing. We are afraid of the notion of governmental function which would minister to the primitive needs of the mass of people, although we are quite ready to care for him whom misfortune or disease has made the exception. It is really the rank and file, the average citizen, who is ignored by government, while he works out his real problems through other agencies, and is scolded for staying at home on election day. It is comparatively easy to understand the punitive point of view, which seeks to suppress, or the philanthropic, which seeks to palliate; but it is much more difficult to formulate that city government which is adapted to our present normal living. As over against the survival of the first two, excellent and necessary as they are, we have the many municipal activities of which Mr. Shaw has told us, but we have attained them surreptitiously, as it were, by means of appointed commissions, through boards of health endowed with exceptional powers or through the energy of a mayor who has pushed his executive function beyond the charter limit. The people themselves have not voted on these measures, and they have lost both the education and the nourishing of the democratic idea, which their free discussion would have secured and to which they were more entitled than to the benefits themselves. Almost every Sunday in the Italian quarter in which I live, various mutual benefit societies march with fife and drum and with a brave showing of banners, celebrating their achievement in having surrounded themselves by at least a thin wall of protection against disaster, setting up their mutual good will against the day of misfortune. These parades have all emblems of patriotism; indeed the associations represent the core of patriotism -- brothers standing by each other against hostile forces from without. I assure you that no Fourth of July celebration, no rejoicing over the birth of an heir to the Italian throne, equals in heartiness and sincerity these simple celebrations. Again, one longs to pour into the government of their adopted country all this affection and zeal, this real patriotism. Germany affords perhaps the best example of this concern of government for the affairs of the daily living of its wage earners, although, Belgium and France, with their combination of state saving banks, with life insurance and building associations, backed by the state, afford a close second in ingenuity and success. All this would be impossible in America, because it would be hotly resented by the American business man, who will not brook any governmental interference in industrial affairs. Is this due to the inherited instinct that government is naturally oppressive, and that its inroads must be checked? Are we in America retaining this tradition, while Europe is gradually evolving governments logically fitted to cope with the industrial situation? Did the founders cling too hard to that which they had won through persecution, hardship, and finally through a war of revolution? 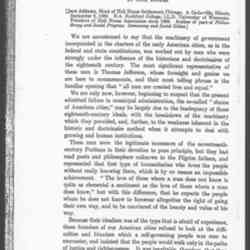 Did these doctrines seem so precious to them that they were determined to tie men up to them as long as possible, and allow them no chance to go on to new devices of government, lest they slight these that had been so hardly won? Did they estimate, not too highly, but by too exclusive a valuation, that which they had secured throguh the shedding of blood? Man has overestimated the spoils of war, and tended to lose his sense of proportion in regard to their value. He has ever surrounded them with a glamour beyond their [desserts]. This is quite harmless when the booty is an enemy's sword hung over a household fire, or a battered flag decorating a city hall; but when the spoil of war is an idea which is bound on the forehead of the victor till it cramps his growth, a theory which he cherishes in his bosom until it grows so large and so near that it afflicts its possessor with a sort of disease of responsibility for its preservation, it may easily overshadow the very people for whose cause the warrior issued forth. We have not yet apprehended what the scientists call "the doctrine of the unspecialized," what the religious man calls "the counsel of imperfection," and the wise educator calls "the wisdom of the little child." 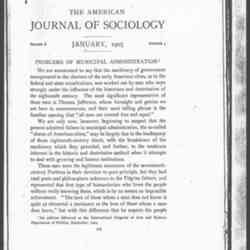 If successful struggle ends in survival, in latent and tangible success, and, as it is popularly supposed to do, in a certain hardness of heart, with an invincible desire to cling fast to the booty which has thus been hardly acquired, government will also have to reckon with the many who had been beaten in this struggle, with the effect upon them of the contest and the defeat; for after all they will always represent the majority of citizens, and it is with its large majority that self government must eventually deal, whatever else other governments may determine for themselves. 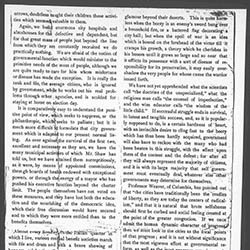 Professor Weaver, of Columbia, has pointed out that "the cities have traditionally been the cradles of liberty, as they are today the centers of radicalism," and that it is natural that brute selfishness should first be curbed and social feeling created at the point of the greater congestion. 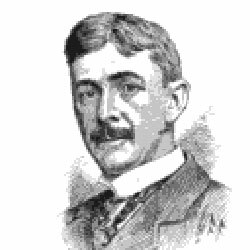 If we once admit the human dynamic character of progress, then we must look to the cities as the focal points of that progress; and it is not without significance that the most vigorous effort at governmental reform, as well as the most generous experiments in ministering to social needs, have come from the largest cities. Are we beginning to see the first timid, forward reach of one of those instinctive movements which carry forward the goodness of the race? 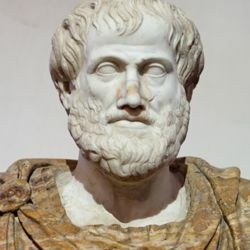 If we could trust democratic government as over against and distinct from the older types, from these which repress rather than release the power of the people, then we should begin to know what democracy really is, and our municipal administration would at last be free to attain Aristotle's ideal of a city, "where men live a common life for a noble end." "Problems of Municipal Administration," Boston Morning Star and Free Baptist, February 8, 1906. 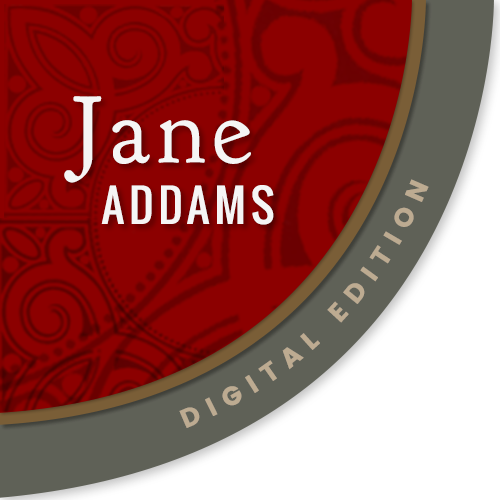 Addams, Jane , “Problems of Municipal Administration, February 8, 1906,” Jane Addams Digital Edition, accessed April 18, 2019, https://digital.janeaddams.ramapo.edu/items/show/4209.